There are numerous soaps available on the market right now, but, handmade soaps are gaining more popularity as they have natural ingredients that do not cause any allergies. Handmade soaps are mild and provide very impressive cleaning properties. Here is a list of best handmade soaps available on the Indian market right now. The Soulflower Handmade Natural Soaps Soulflower Pink Strawberry Skin Soap is one of the best handmade natural soap available on the Indian market right now. This 150g natural soap has some of the best ingredients like fresh strawberries, Olive Oil, Castor oil, Frenchrose, Vitamin E etc. This soap is best for any type of skin because of its ingredients like antioxidants and Vitamins that provide impressive therapy for the skin. One of the best features of this soap is that it can keep your skin softer, refreshed, and hydrated even after a wash. 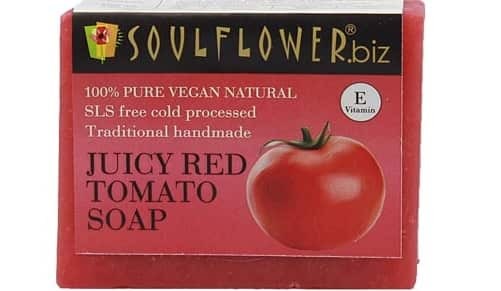 The Soulflower Handmade Natural Soaps Juicy Red Tomato is one of the best handmade natural soap available on the Indian market right now. This 150g natural soap has some of the best ingredients like Vitamin A and Vitamin C. This soap is best for any type of skin because it is 100% vegan and helps in skin rejuvenation. One of the best features of this soap is that it can cleanse the skin and rebuild the troubled and oily skin. This soap also can remove suntan and smoothen the skin. Not recommended to use on hair. 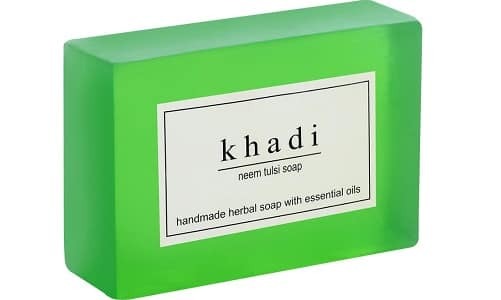 The Khadi Neem Tulsi Soap is one of the best handmade natural soaps available on the Indian market right now. This natural soap helps clean and tone the skin. 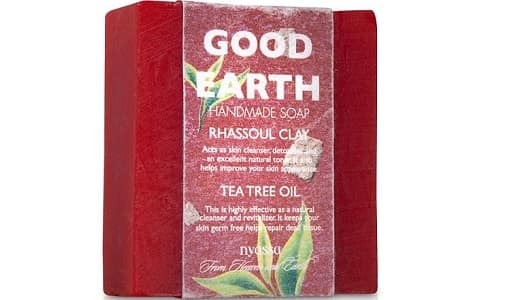 The key ingredients in this soap are vegetable oils, glycerine, Basil oil, and Neem. One of the notable features of this soap is that it can nourish your skin because of these excellent ingredients. This soap can also remove dryness and retain the skin moisture easily. This natural soap helps clean and tone the skin. 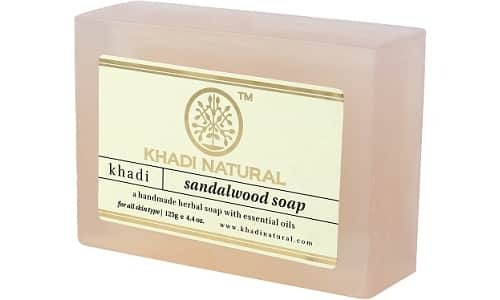 The key ingredients in this soap are sandalwood and essential oils. One of the notable features of this soap is that it can brighten the skin and provide excellent acne prevention properties. This soap can also remove suntan. 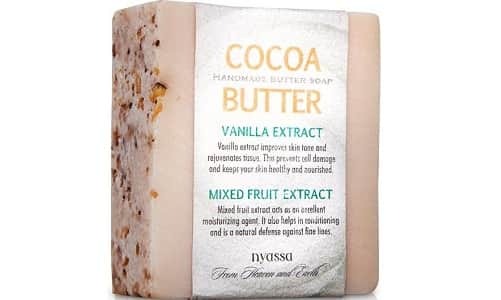 The Nyassa Cocoa Butter Soap is one of the best handmade natural soap available on the Indian market right now. This soap has ingredients like Vanilla extract and Mixed Fruit extract that can enhance your skin tone and help to moisturize the skin. This product can prevent cell damage and can help prevent wrinkles and annoying lines on your skin. The soap also contains Aloe Vera and Almond oil that can keep the skin nourished. The product can moisturize, nourish, and prevent skin damage. Some customers might consider the price to be high. The Nyassa Moroccan Rose Soap is one of the best handmade natural soap available on the Indian market right now. This soap has ingredients like walnut oil and Rose Petal Powder that can help moisturize the skin and provide a UV protection. The rose petal power can enable your skin to form a defense against skin infections. The soap also contains Aloe Vera, vitamin E acetate, Almond oil, and honey extract that can keep the skin nourished. The product can prevent skin infections. Contains Aloe Vera and grape seed extract. Contains sodium laureth sulphate (SLS). The Nyassa southern Spice is one of the best handmade natural soap available on the Indian market right now. This soap has ingredients like cardamon essential oil and Rose extract that can help fight infections the skin and provide a UV protection. The rose petal extract can moisturize your skin and help to tone the skin. The soap can also help in preventing wrinkles and soothing your skin. 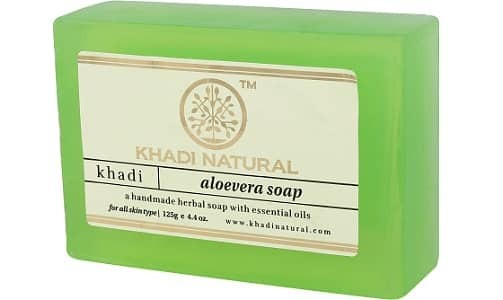 The Khadi Natural handmade Aloe Vera soap from the manufacturer Khadi Natural is one of the best handmade soap available on the Indian market right now. This soap contains ingredients like Aloe Vera and essential oils. It produces a good lather and can remove dirt efficiently. One of the notable features of this soap is that it can provide good moisturizing after the wash. This product comes in a pack of 2 and a pack of 3 soaps with a very reasonable price. 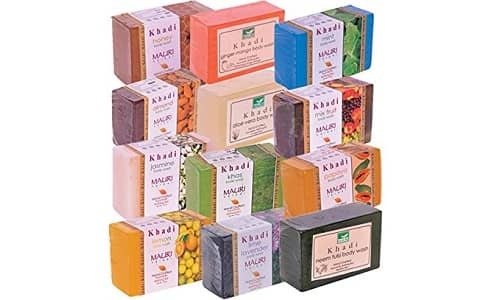 TheKhadi Herbal Ayurvedic Soaps Pack of 10 Assorted Exotic Handcrafted Natural Beauty Soaps from the manufacturer Khadi Mauri Herbal is one of the best handmade soap available on the Indian market right now. This product has 10 different soaps in it that can help you keep your skin moisturized and clean. Even though, the product comes in a bundle of 10 it has a reasonable price and quality. Contains glycerine, and this can be allergic to some people. 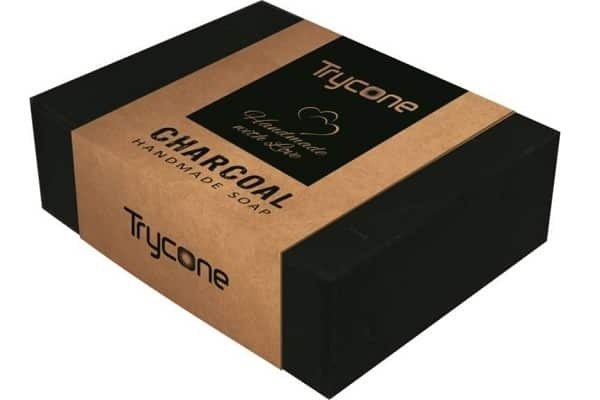 The Trycone Handmade Charcoal Soap is one of the best handmade soap with natural ingredients available on the market Indian right now. This soap has charcoal as an ingredient and this enables the soap to absorb oil and dirt from the body. This soap, unlike other soap, has very powerful absorption properties that remove most of the dirt from the body. 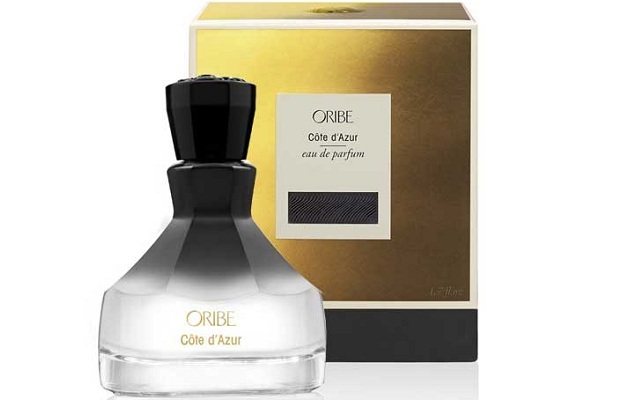 All the above-mentioned products were selected and listed on the basis of customer reviews and product specification. Most of the products listedhave natural ingredients only.